I never had such a result, using a simple mov-video, because, using mov, I´m stacking and sharpening to much compression-artifarkts. This is no problem for a full-HD-video, but it is a problem, if I want to use 1:1 crop mode with high amplification (ISO) and maybe underexposed. MLV-video is raw-video without compression but with much noise at high-iso. But this kind of noise I can eleminate through the stacking. this one makes me really smile. good work! btw. if there is anything in MLV processing that would help, please tell so. i always wanted to add autotracking for detecting an object and moving the crop area. but i guess you have a tracker, do you? I think, mlv_rec and mlv_dump are great pieces of software. What could be made better for such a special case like astronomical-pics? I guess, not very much. Autotracking through moving the pan area make no sense. This does a stacking-program better with the alignement of the frames. And the tracking itself must be done with the mount. The planet is mooving to quick out of the active area without this external tracking. If I find a little time. I will try to exand the could pixel fix to work with very high ISOs too (3200 for my 600D). Maybe September this year... Must first learn to work with pointers. 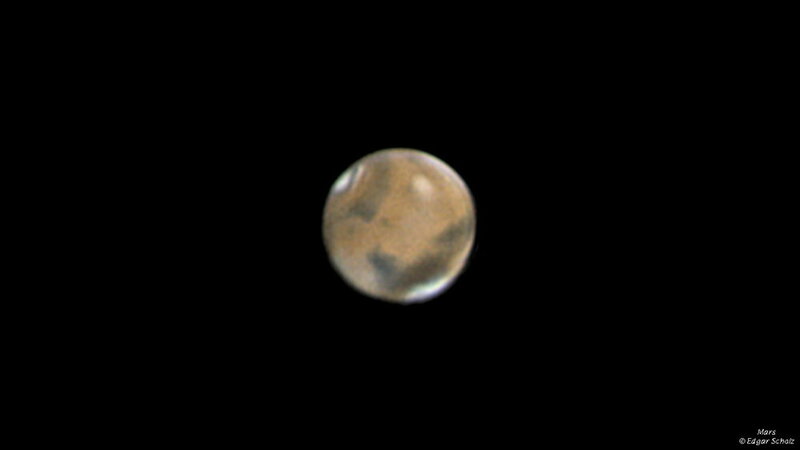 Very nice Mars pic indeed! Could you please share with us what build of ML you are using?